Does the idea of a neckbeard conjure up an image of a 35-year-old man wearing an ill-fitting fedora sitting in his mother’s basement playing video games? He’s probably wearing a t-shirt featuring his favorite fantasy creatures from World of Warcraft or even a hard metal band from the 90’s and munching on Doritos from the bag. Jokes aside, no one likes these itchy, frizzy masses of hair growing below the chin. It’s time to say enough is enough. If you want to ditch your neckbeard for good, you’ll want to keep the right tools on hand. Notably, a gentle cartridge razor with a precision trimmer like the Fusion 5 from Amazon.com from Gillette and some handy beard shaping guides. In this article, we’ll discuss some of our favorite beard styling tools and then speak a little bit about when and how to shave your neckbeard. You should respect certain imaginary lines when grooming your beard. Use this guide when trimming your beard to properly remove neckbeards and other unwanted hair. You can’t just assume that you’ll have the kind of beard you want just by leaving your facial hair grow. A beard is a work of art, and if you don’t take a bit of time to “manscape,” you’ll have a bushy, overgrown mess on your face. Unfortunately, too many men who try to trim their beards end up shaving off too much or, even worse, shaving a crooked line across their faces. The Beardclass Beard Shaping Tool makes home beard grooming a piece of cake. This simple tool is essentially a GPS custom designed for your razor. Whether you want to trim your beard, goatee, sideburns, or, yes, neckbeard, this will show you exactly where to shave. No more guessing or estimating. Because the neckbeard shaping tool is transparent, you’ll be able to see exactly where you’re shaving. Best of all, the millimeter-wide edge will give you ultimate precision. To trim your neckbeard, you’ll place the curved edge of the tool under your chin and simply shave underneath. Since this is an 8-in-1 tool though, you don’t have to stop there. You can trim the hair on your cheeks to define the curve of your beard along your chin. Flip the tool over to use the squared edge of the tool for a straight cheek line instead. You can also put it right up under your nose to see the line of your goatee. When you’re all finished, tidy up with the comb located along the bottom of the tool and, voila, you’ve got yourself a masterpiece. Shave off your neckbeard properly with this helpful guide. 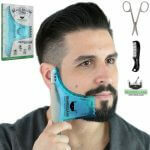 *If the product link/button above is out of stock, check out Aberlite FlexShaper Beard Neckline Guide on Amazon.com here. Need one hand to hold the mirror? 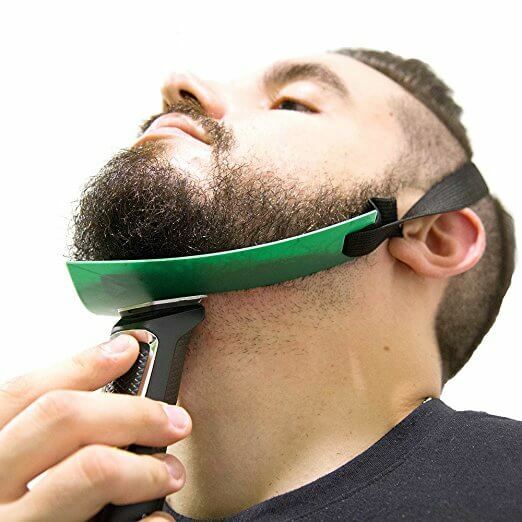 Can’t seem to hold a beard shaping tool in place when you’ve got your head tilted back? A neckbeard can be particularly frustrating simply because you can’t really get a great look at your neck. Use the The FlexShaper Beard Neckline Guide, of course. This unique neckbeard guideline comes with an attachable elastic strap to hold it in place while you shave around it. Simply thread the black straps through the holes on the side and put it on over your head almost as if it were a headband. While the tool may not be large enough to go all the way to your sideburns if you’ve got a large face, all around, the tool makes it one hundred times easier to get at those tricky spots. Tidying up a neckline will, perhaps more than any other technique or product, neaten up a man’s overall look. However, you’ll want to make sure not to trim too far up on the neckline. A beard that’s too short isn’t attractive either. Try to strike a nice balance. Want to get rid of your neckbeard for good? Consider waxing it off. Of course, wax won’t really get rid of your neckbeard completely, but at least the hair won’t grow back for another few weeks. Some men assume that waxing is only for women, but that couldn’t be further from the truth. Those of us who happen to be a bit harrier know how quickly hair can grow back. Sometimes, I’ll start seeing the hair grow back before lunchtime! Shaving off that neckbeard every day can be a real pain! 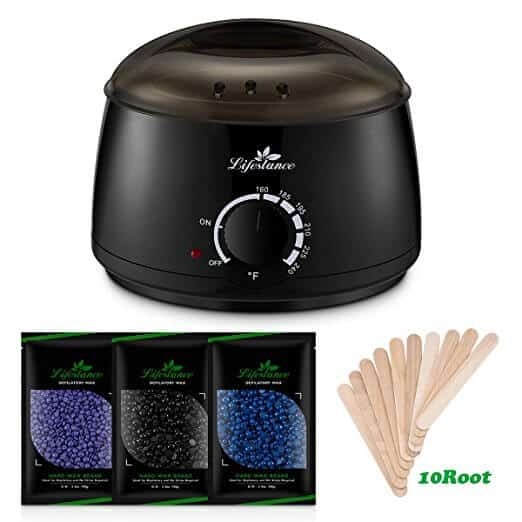 The Lifestance Wax Warmer Hair Removal Kit makes the process easier than ever. Wax off your neckbeard right in the privacy of your own home. If you’re shaving a delicate area like your neck, you’ll want to apply the wax in thin, short strips. Brush the wax on in the direction of hair growth and paint on extra at the edge so you’ll be able to peel it off all in one go. When the wax is dry, you’ll want to remove it against the direction of hair growth. Now, if applying hot wax to your skin to rip out the hairs by the roots sounds like a method of punishment in a Gothic horror movie, you’ll be happy to know you’ve been misinformed. As long as you’re using hard wax, the pain is really minimal. Hard wax will stick to your hair and not to your skin, which makes a huge difference. When you’re done, you’ll still want to apply aftershave to moisturize your skin and prevent any infection, but any irritation should disappear within a couple of hours. Will Those Beards Ever Be In Style? 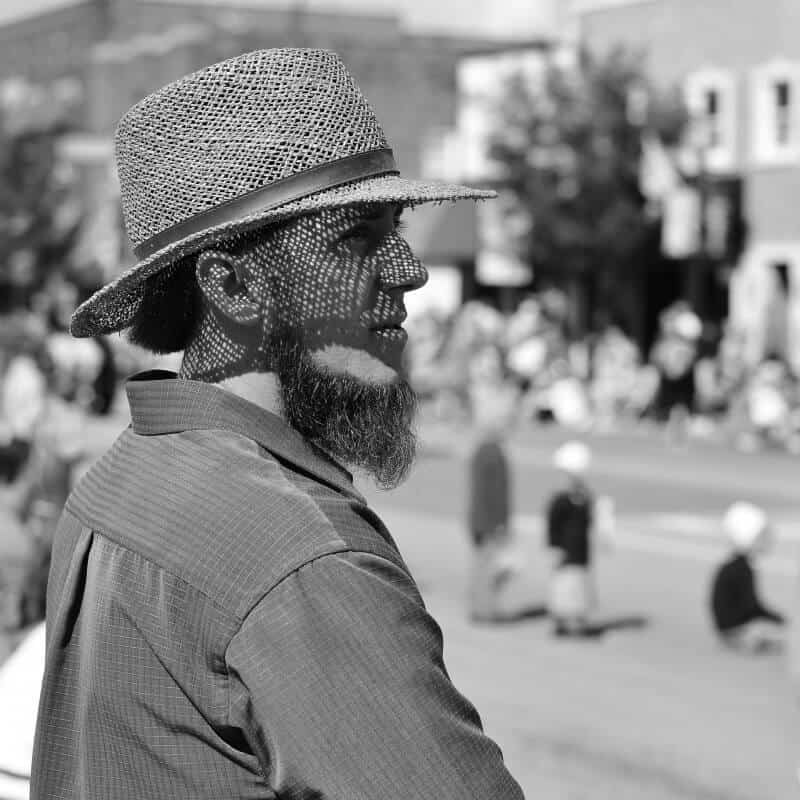 Unless you’re Amish, neckbeards have never really been considered all that stylish. Beards are certainly attractive, but that doesn’t necessarily mean there’s a direct correlation between the amount of hair you have on your head and the amount of masculinity you exude. However, that being said, you may not necessarily want to shave off your neckbeard right away if you’re planning to grow out your neckbeard a few inches or even into a full yeard. Even though neckbeards might feel itchy and uncomfortable at first, that’s the hair that’s going to give you a lot of volume later on. Trimming it now could prove disastrous later. There’s nothing less appealing than a thin patch of hair hanging off the end of your chin! While it may seem bulky now, eventually, your hair is going to start weighing itself down. If you really feel the need to trim your neckbeard, you’ll want to go to a professional barber to get a proper fade. To trim your neckbeard properly, you’ll need to place two fingers above your Adam’s apple. This will determine exactly where your beard should stop. Once you’ve identified this point, you should draw an imaginary line from this point to the back of your ears. Having trouble? 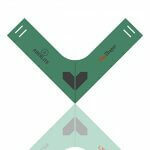 You can also use the neckbeard shaping tool or neckline guide for help. If the tools are getting in your way, you can also use the tools as a guideline and then use a pencil to mark where your beard line should end. An eyeliner pencil, for instance, will show you where you should shave and will easily wash away afterward. When you’re ready to shave, lather up with a clear shaving gel and get your razor ready. You can really use any razor you prefer, but I personally like to use cartridge razors primarily because they come with precision trimmers on the opposite side that help me define my beard line perfectly. Many men never get neckbeards at all, and that’s great for them. For the rest of us though, they can get pretty nasty. If you really want to grow your beard out, then you might want to refrain. For anyone else, get rid of it immediately! There’s nothing that screams unkempt like a an overgrown beard.